Now on display at Glen Echo Photoworks through May 7th, 2012. Join us for the reception on Sunday, April 22nd, at 6:00 PM. 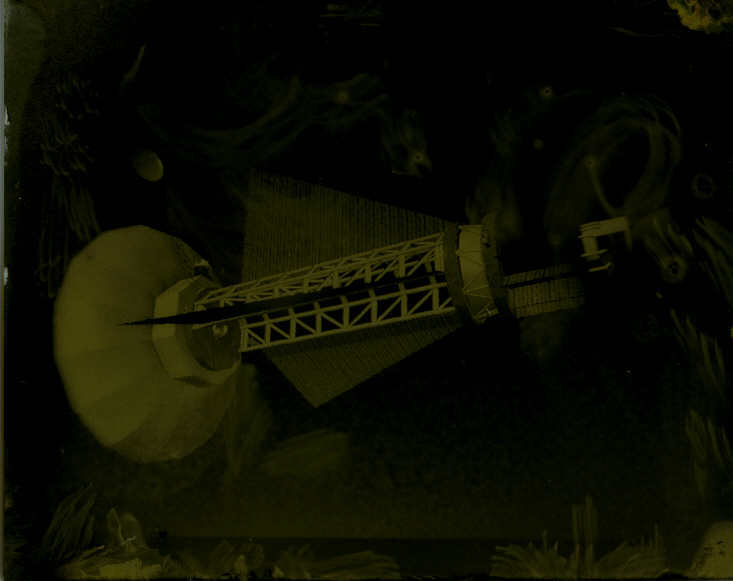 These are from the “Rocketpunk” project. It’s an exploration of spaceflight history and what the future might’ve been if things had turned out different, if spaceflight hadn’t turned out to be prohibitively expensive, if nuclear propulsion development had been continued and implemented. It’s the “future that might have been”. 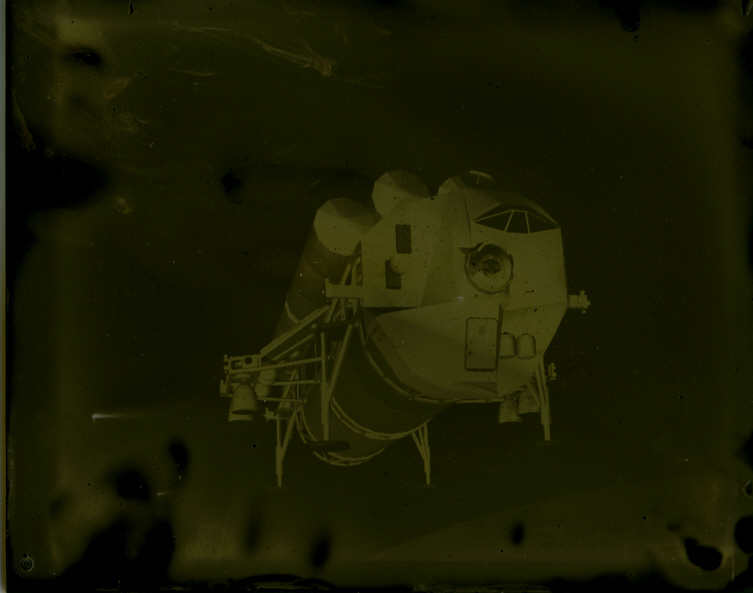 As an engineer in the space field these are the thoughts present in my mind since I was a young boy watching the first space shuttle launch and imagining walking on the Moon, and the ambrotype is an effective format for conveying the dreamlike nature of such futurist thinking. 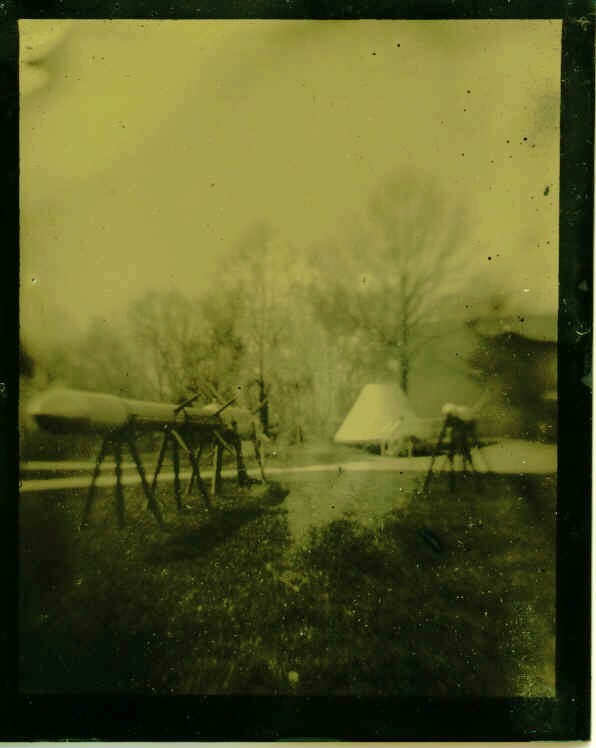 The main reason I built the “Mark I” camera was for the purpose of exploring primitive photography. 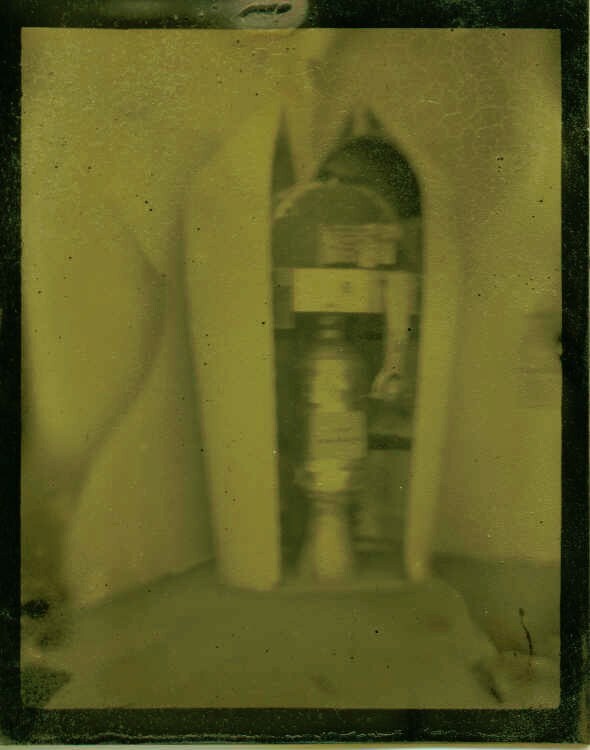 Eventually I would like to try historical processes, such wet collodian, but since I lack the studio required for that, I make do with the next best thing, using Rockland Colloid’s dry-plate tintype emulsion and developer. 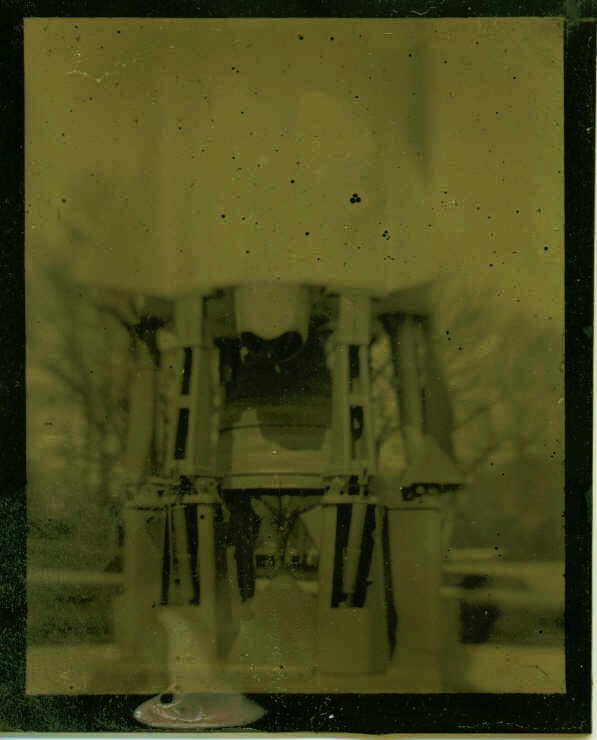 The only difference between an ambrotype and a tintype is that a tintype is on a metal plate while an ambrotype is on a glass plate. The plate is first painted with black enamel paint and then coated with a positive emulsion. When developed, the areas struck by light turn a light tan color, while the dark areas turn clear, allowing the black background to show through. Because what comes out of the camera is also the photo, the resulting photo is left-right reversed. These photos have been slightly contrast-enhanced after scanning for better viewing on a computer screen. This entry was posted in DIY camera project, Rocketpunk by admin. Bookmark the permalink.